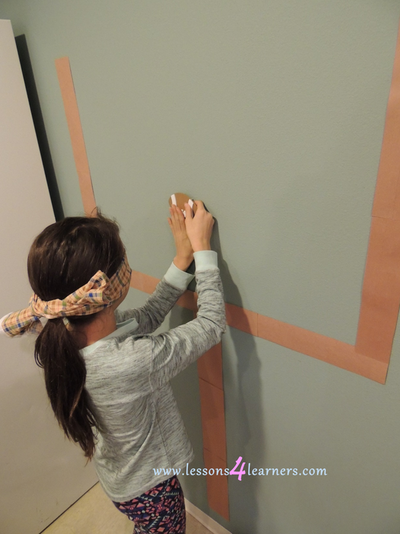 Prepare for the activity by creating the goalpost and footballs out of construction paper. 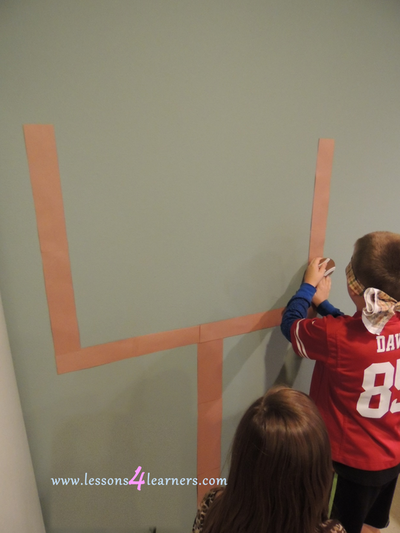 Tape the goalpost on an empty wall at child-height. Read T is for Touchdown with your students. Be sure to take a picture walk with them and stop periodically to discuss the new vocabulary in the book. 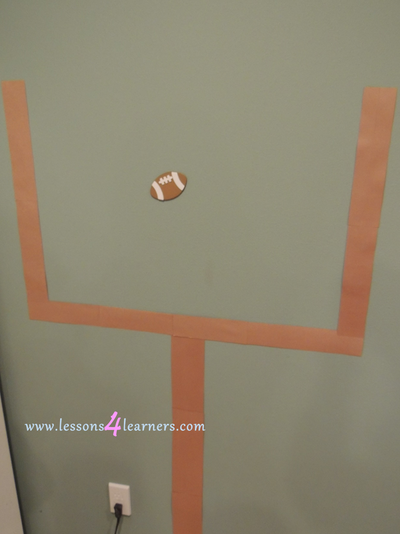 After reading, play Pin the Football in the Goalpost with your students. It is much like Pin the Tail on the Donkey, only students will be trying to get the football in between the goal posts. As students are playing, encourage them to use new football vocabulary that they learned while reading. 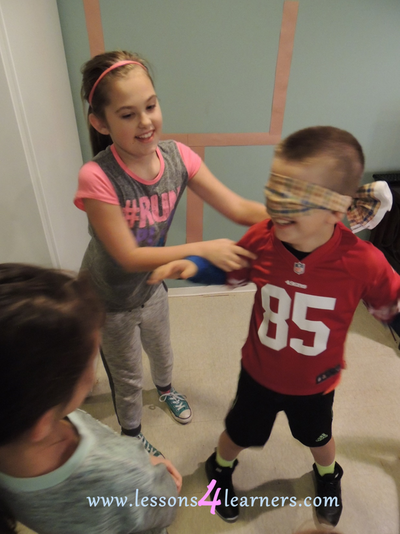 Record any football terms that the child used during the game. Did they use the words correctly or do they need more practice? Observe and make notes about their interactions with other children as well. Paint the back side of your plate with brown paint, and allow to dry. Once dry cut the plate in half, and place the two white sides together (so that the brown sides face out). Use the hole punch to put several holes along the round edge of the plate. Tie off your yarn or thread, and lace it through the holes to create a bowl. 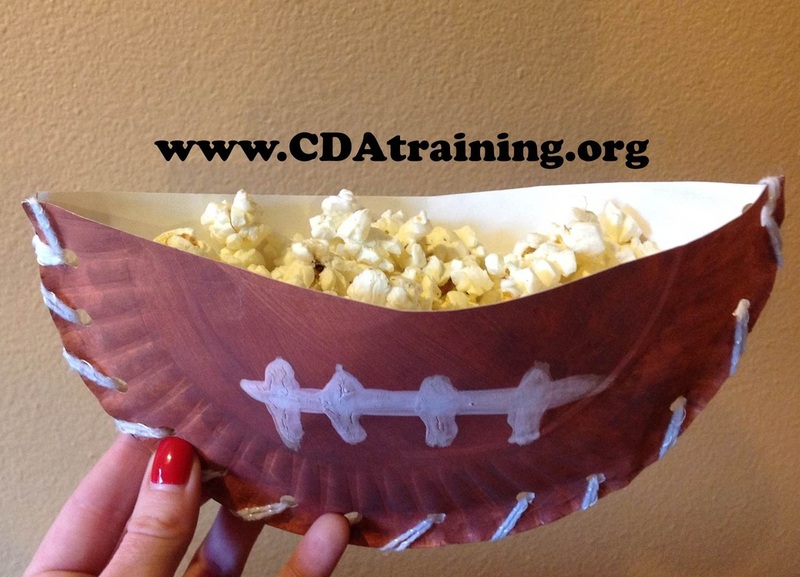 Once finished, use white paint to create a lacing on the side of your bowl. Allow to dry, and fill with your favorite snack.